Home theater control. Whole home control. 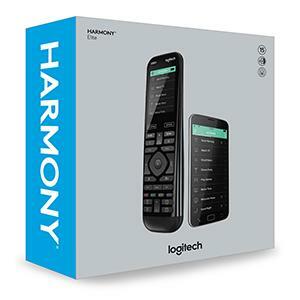 Harmony Elite is the powerful, intuitive way to control your entertainment. But life doesn’t only happen in the living room. Or only at home for that matter. Harmony Elite goes beyond TV and movies. Far beyond. 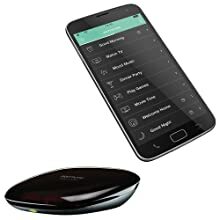 Use it to control the music from the kitchen, adjust the lights from across town, and the blinds according to the time of day. Compatible with Amazon’s Alexa for easy voice integration and activation. Get your lighting, locks, thermostat and more to work together for one-touch experiences like ‘welcome home’ or ‘good night’. Set room lighting to automatically dim when you start a movie. Turn on multiple devices at a touch, create custom schedules, or trigger them with sensors. *Smartphone, tablet, lights, locks, thermostats, sensors, blinds, and other products sold separately. ** Initial online and/or mobile setup required. Data rates may apply for mobile app download. Use Amazon Alexa with your Logitech Harmony Elite remote to start and stop Harmony Activities, or to turn on your television to your favorite channel. 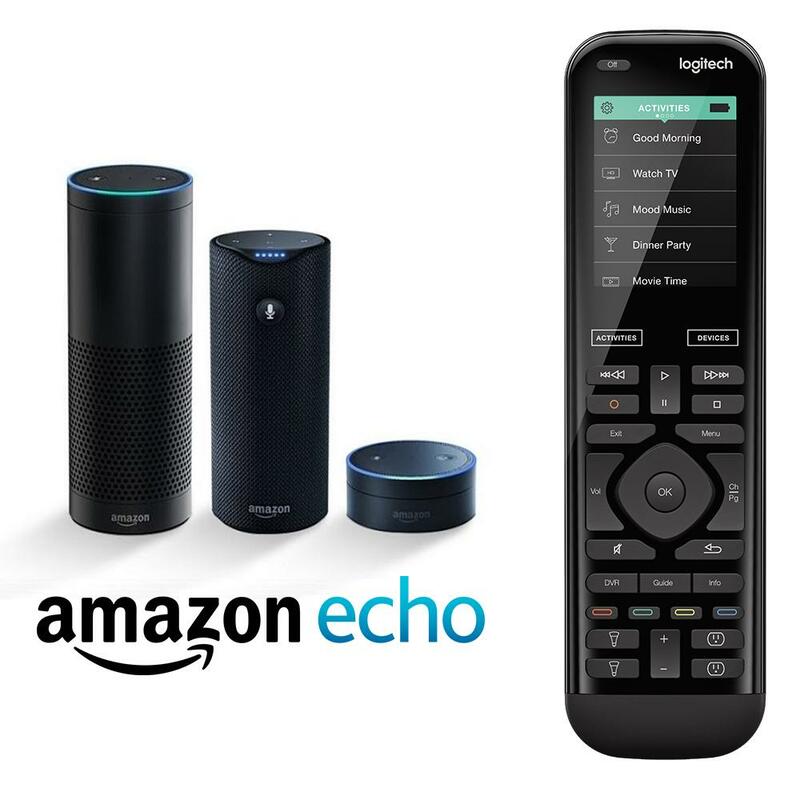 For example, say ‘Alexa, turn on the TV’ to power on your Harmony Watch TV Activity, or “Alexa, turn on Netflix” to begin streaming content from just about any device. Instead of only controlling one device at a time, Harmony groups your devices into one-touch Activities. 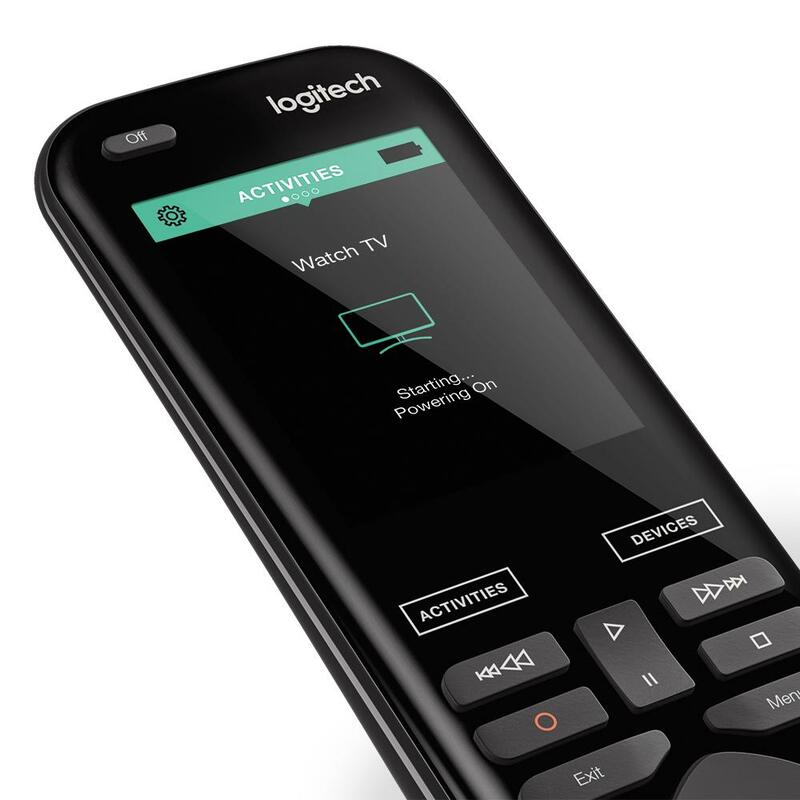 Touch ‘Watch a Movie’ or ‘Watch TV’ and the right devices automatically power on and switch to the right settings. Controlling your entertainment is as familiar as controlling your smartphone. Just swipe and tap to change channels, fast-forward or rewind, and adjust volume. Easily add one-touch access to your 50 favorite channels. And everyone in the house can control it all with the remote or their smartphone or tablet via the Harmony app. 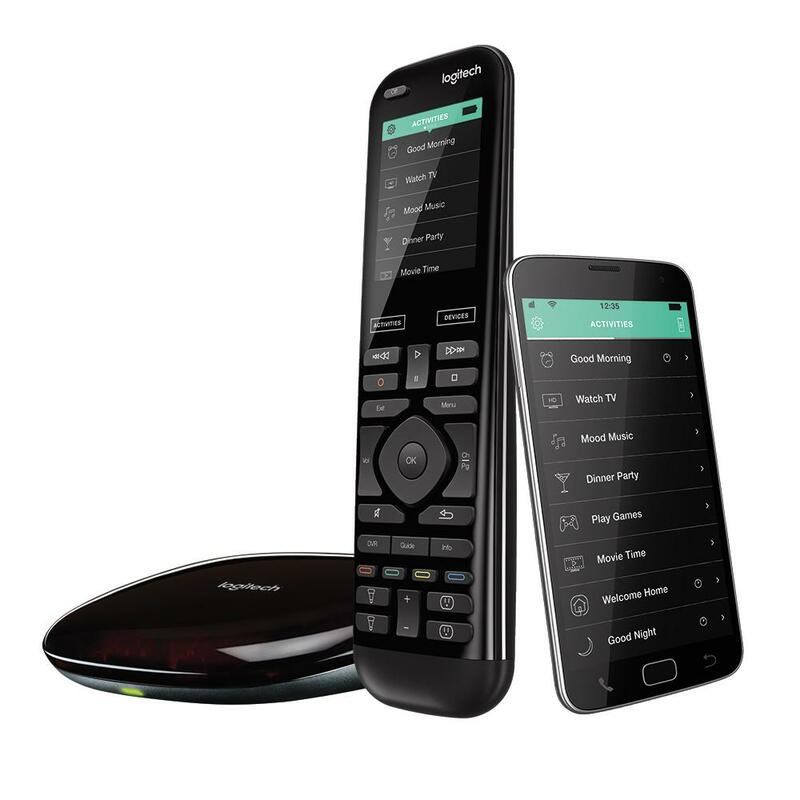 The included Harmony Hub relays signals from the remote or app to your devices. No need to point your remote at the device you want to control—including devices hidden inside closed cabinets or behind walls. Use the iOS or Android mobile app to adjust devices even when you’re away from home. Android OS: Wi-Fi-enabled smartphone with Android 4.2 or higher. 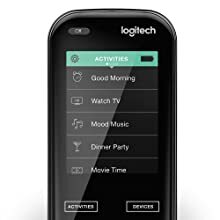 Bluetooth Smart technology-enabled iOS or Android device. Windows-based PC: Windows 10, Windows 8, or Windows 7. Intel-based Mac OS computer: Mac OS X 10.7 or higher. Harmony App: Download from the App Store or Google Play. Wi-Fi (Supports 802.11g/n, WPA Personal, WPA2-AES, and 64/128-bit WEP encryption).